Traditional open-air (location-based) games like Hide-and-seek or Capture the flag brought hours of fun to many of us when we were kids. Then consoles and computer games came along and suddenly the only location you played in was the living room. Today integration of smartphones and geo-location is about to change it and combine the real and virtual worlds. Although Mobile Location-Based Gaming is an area where developers have just begun to scratch the surface in terms of what’s possible, it is one of the fastest growing and interesting trends among LBS. Mobile Location-Based Gaming is linking elements of traditional open-air field games (e.g. Hide-and-seek, Paper Chase) with new technologies available on mobile devices including positioning technologies, wireless fast speed internet, image recognition and augmented reality among others. In the era of integrating everything with everything is hard to say which location-based service is still a game and which is just using elements of gamification. For example Foursquare is build around the idea that users receive points and badges after broadcasting their location to a social network, but it is rather Location Sharing Service than what we usually call a game. The other Location-Based Social Network SCVNGR works by directing players/customers to certain areas/venue and ask to perform a certain task e.g. to take a picture, record a video and upload it to the game platform in order compete with other players. Even the popular Angry Birds has begun to introduce location-based elements, allowing the option for players to compete with one another on a unique leader board tied to location. What is there on the market? MyTown, for example, has much over 4 million active users. Most users of the Monopoly-style game spend on average more than an hour on the app a day. Rather than just check in at a place, a player can “buy” the venue and collect rent from other players who check into the same place. Booyah is trying to get players more involved with new features like in-game purchasing, where players can buy power-ups, and all this seems to be working. 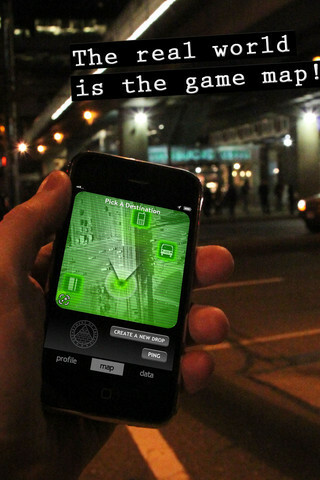 The other popular type of Location-Based Gaming are scavenger hunts. It is the best way of tying a game in with a real-world experience is what location-based games are all about for Greg Gerber, founder of iSpy. His iPhone game is based on the children’s game of “I spy”. A player takes a picture of a real world object, say, a statue in a city and uploads it to the game. Then, other players take on the task of finding that statue (they get an approximate location of the geotagged photo—a circle is projected onto a map, and it contains the object within a radius of a few city blocks). When they do find it, they take a picture of it with the cell phone’s camera and upload it, thus “solving” the game. It is surely interesting field with a huge potential but all depends on profitable business models. Foursquare for example although rapidly growing is struggling to monetize the user database. Justin Beck – one of the founders of Parallel Kingdom says that in-app purchases and the fact that user spend on average fairly long time playing everyday creates profitable revenue source. We’ll see soon where it is all going.